Egypt’s Nile Cruise – The Great Canadian Travel Co.
Egypt has an enthralling history and a wealth of well-preserved monuments and treasures. This trip along the legendary Nile allows you to watch local life along the lush green banks, visit important temples and be awed by beautiful sunsets from a comfortable river cruise boat. Prices are shown in CA$, per person based on two people sharing a twin room. Some dates have slightly higher prices than those shown. Please inquire for the rate that pertains to your date of choice. Contact us for single pricing. Arrive in Cairo at any time today. 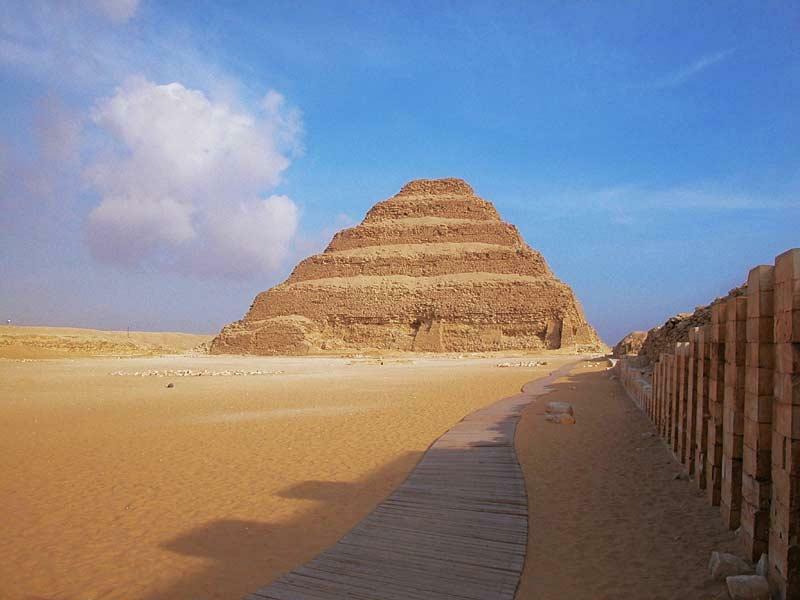 Egypt has an enthralling history and a wealth of well-preserved monuments and treasures. This trip allows you to visit all the major sites and attractions along the Nile in a comfortable fashion. Boarding the cruise boat at Luxor, you will travel upstream, watching local life pass by, whilst also visiting the spectacular Edfu and Kom Ombo temples along the way. The lush green banks and the beautiful sunsets over the Nile, together with the excellent on-board facilities make this an unforgettable way to travel. Visit the Egyptian Museum, Al Azhar mosque and a lively Bazaar. The tour begins with a visit to the incredible Egyptian Museum of Antiquities, which contains relics dating back to 4000 BC, including the fantastic riches of Tutankhamun’s tomb. Here is a unique opportunity to survey the many fabulous treasures of Egypt in one place and to set the scene for the rest of the tour. Following the visit to this amazing museum you will experience modern day Cairo with a visit to Al Azhar mosque, Cairo’s oldest mosque and university, and the small alleyways and streets that make up Cairo’s popular bazaar. Dating back to AD970, Al Azhar mosque is a busy and popular mosque today, frequently visited by locals and thus well worth a visit. You will need to cover up (long sleeves and trousers) as when entering all mosques. Women will also need to cover their hair with a scarf. 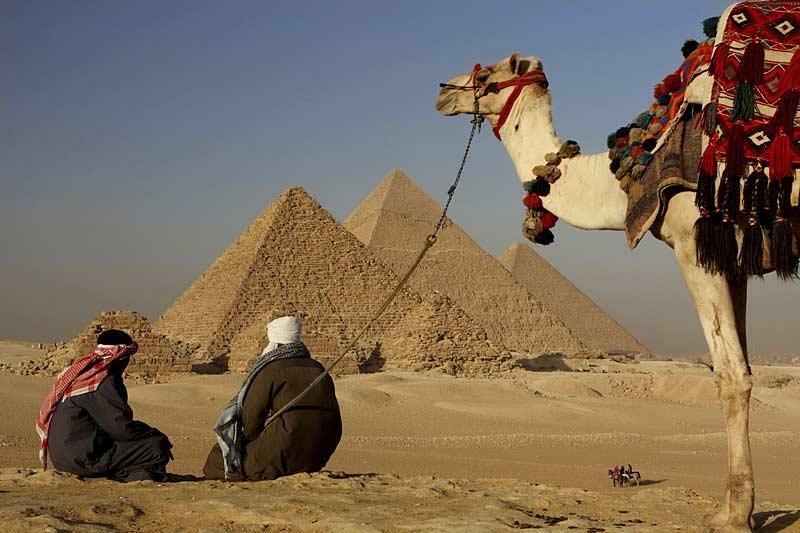 In the afternoon you will visit the Pyramids at Giza. Home to the Great Pyramids of Cheops, Chephren and Mycerinus and the timeless and enigmatic Sphinx, these great monuments to the afterlife defy the imagination. Only the throng of sightseers, Egyptian and foreign, milling around their huge foundations, keep the viewer in the 21st century. In the morning you will transfer to Cairo airport for your flight to Luxor. You arrive in Luxor and cross the Nile to the West Bank. Here you will see the Valley of the Kings, which contains the once hidden tombs of over 62 Pharaohs, including Tutankhamun, Seti I, Ramses III and IV. A discreet entrance in the hillside takes the visitor underground; a series of corridors and ante-chambers leads us down to the burial chamber and sarcophagus. The walls are covered in brightly painted images and hieroglyphs – a map of the afterlife to ensure the king’s safe passage. One ticket allows you to see three tombs. The ticket usually allows entry into what are regarded as the most impressive tombs, but if you have time a visit to the tomb of Ramses VI is also highly recommended. Visits to tombs are now strictly controlled to halt further deterioration of wall paintings – each tomb is periodically closed for a number of weeks. 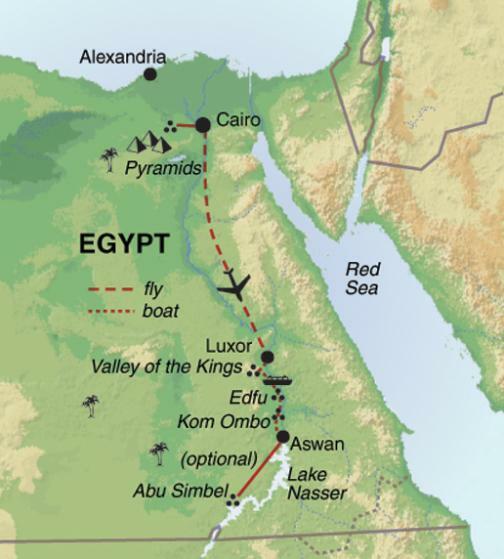 In the afternoon you cross back to the east bank of the Nile and visit Luxor Temple and the huge Karnak Temple complex. Built over 1500 years, Karnak is a confusion of pylons, courtyards, halls and sanctuaries. Its Hypostyle hall has 134 columns 23 metres high and 15 metres in diameter! Both temples are incredibly impressive. In the evening or earlier in the day, depending on the flight times, you settle into your accommodation on the cruise boat. On the Nile. 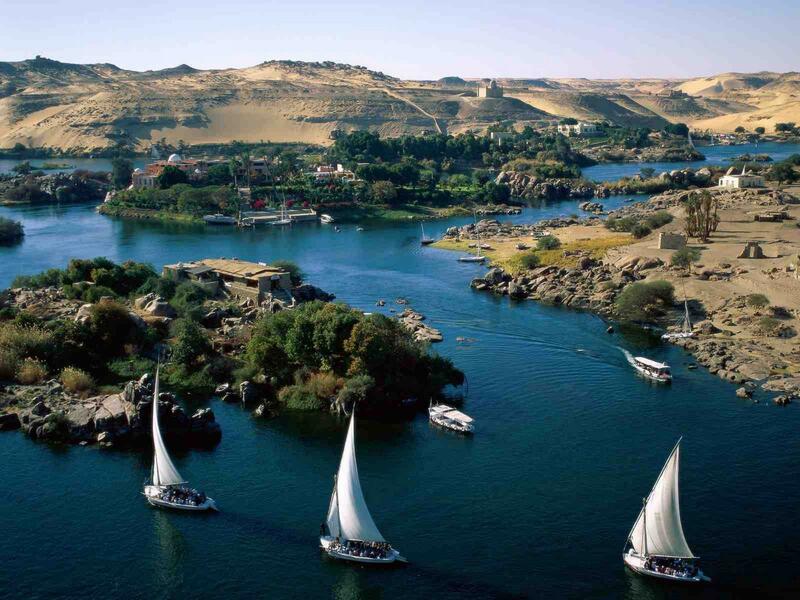 You will spend these days on your cruise boat, travelling upstream from Luxor to Aswan. Exact sailing and excursion times cannot be guaranteed for each individual trip but you will visit the temples of Edfu, famous for its roofed inner temples and huge Pylon, and Kom Ombo. The cruise boat has good facilities: a sundeck with sun loungers, bar and small pool, restaurant, gift shop and library – these can all be taken advantage of when the cruise boat is docked or during sailing. The sunsets over the Nile are truly stunning and travelling from Luxor to Aswan, enjoying the beauty of the lush verdant landscape make this journey special. 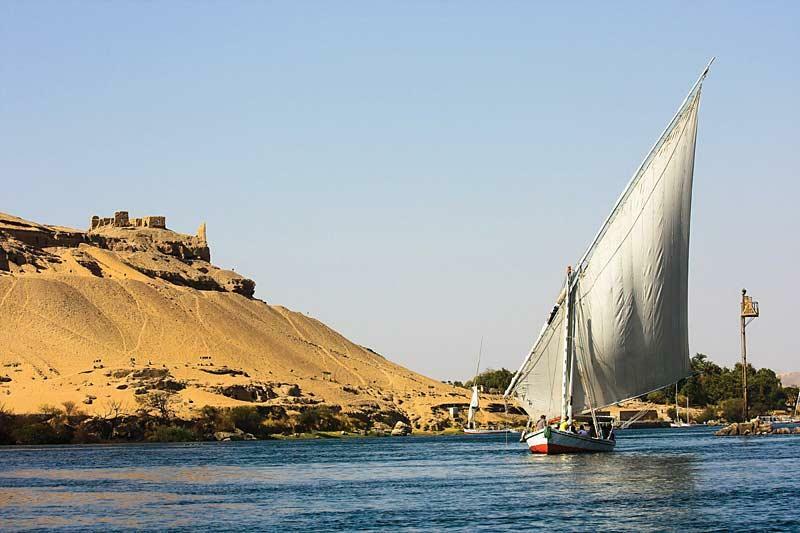 This morning you are travelling the Nile in a different, exciting way: by felucca, the traditional Egyptian sailing boat. 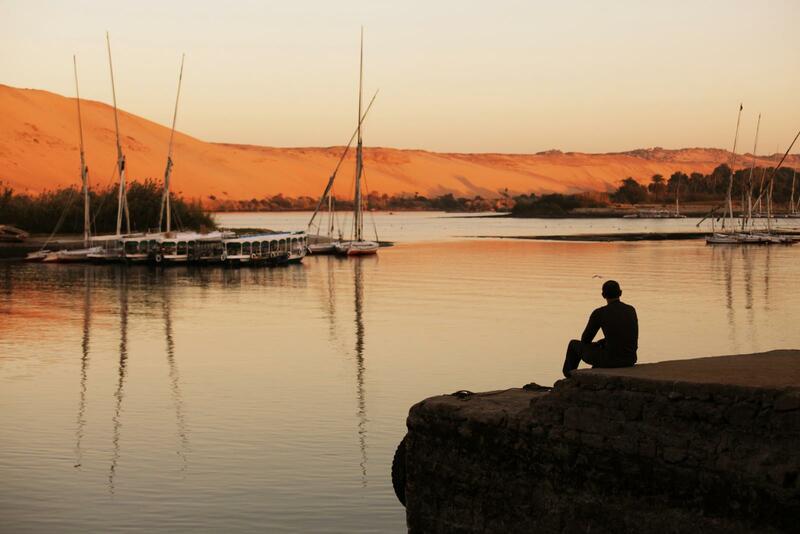 Using the felucca, you can truly savour the tranquillity of the Nile and the beauty of the surrounding landscape, where the vast desert almost reaches the water’s edge. (The sailing by felucca timing might be changed according to weather conditions). In the afternoon there is the option to visit the Nubian Museum, situated opposite the hotel. Opened in April 1998, the museum chronologically charts the history and culture of the Nubian people. Alternatively, you can arrange an optional visit to Philae Temple. In the 1970s it has been relocated by UNESCO to Aglika Island after it became evident that the original site of Philae would submerge on completion of the Aswan High Dam. It represents a magnificent and enduring testament to both ancient and modern engineering. 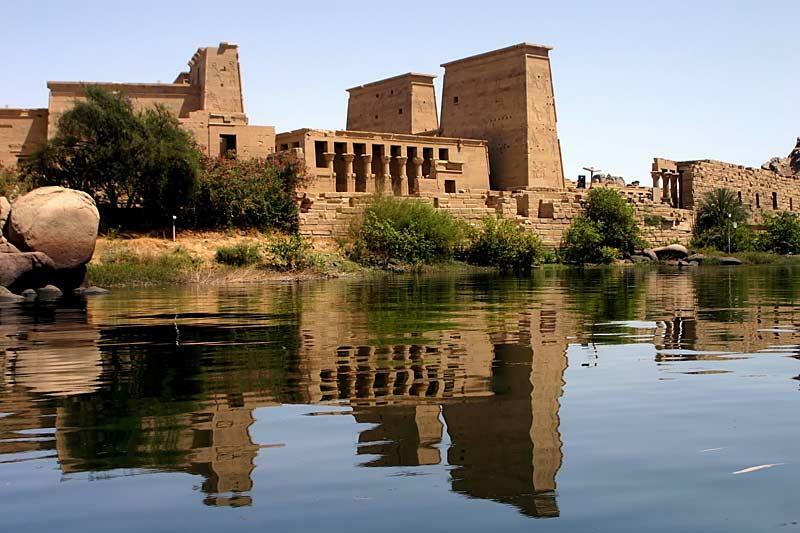 During this excursion you will also visit Aswan High Dam and Cleopatra’s unfinished obelisk. Today there’s the option of a visit to Abu Simbel, 300 km. to the south through the Nubian Desert. The optional bus tour starts at 3.30/4 in the morning when you get picked up from the boat. A breakfast box is provided. Around 8 am you will arrive at the destination, where you are given approx 3 hours to visit the temples. Built by Ramses II the two temples are certainly some of the most spectacular in Egypt. 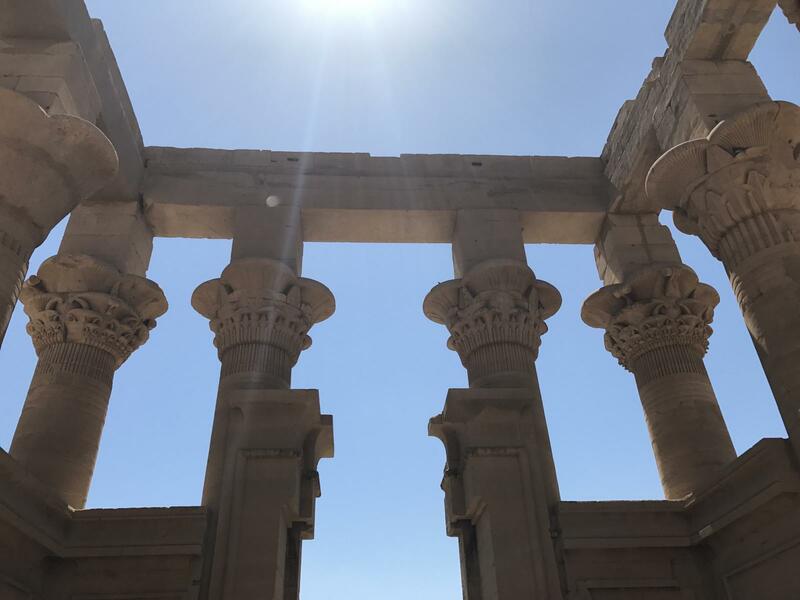 Originally on the banks of the Nile, the temples were raised to a new site above the lake in the late 1960s, as the waters from the new Lake Nasser rose behind the Aswan High Dam. The four great seated statues of Ramses II stare east towards the rising sun. You will be back in Aswan around 3 pm. Your luggage will be moved to the hotel, where you will overnight for the next 2 days. Today is your last day in Aswan. A visit to St. Simone Monastery would be one of the available optional tours or you can spend your day discovering the bazaar (market) and corniche in Aswan. Shopping of home-made products can be done at the market, a great opportunity to have a taste of the local culture. Aswan is a laid-back, sleepy town that reflects the character of its largely Nubian inhabitants, known for being friendly and hospitable. Enjoying its atmosphere is a highlight for many on this trip. Your tour ends today, and you can depart at any time. No experience is required for this leisurely trip. If you are healthy, enjoy the outdoors and want a relaxing trip, then you can go.